Millions of homes in the UK currently have HD TV sets but still only watch television in standard definition. This is all changing, with the arrival of Freeview HD. 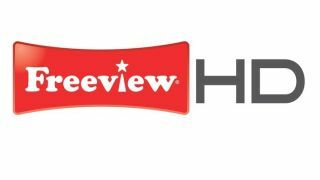 Freeview HD is a service that now provides not only the same standard definition channels that Freeview currently hosts, but also high-definition offerings from the BBC, Channel 4 and ITV. These new high-def channels are free to view, so there is no subscription necessary. The only cost comes from the fact that anyone wanting to view the new service will have to buy a new Freeview HD-compatible set-top box or a Freeview HD TV with a DVB-T2 tuner to decode the HD transmissions. Old Freeview (DVB-T) tuners – in both televisions and set-top boxes – can't decode Freeview HD signals and can only receive the existing standard definition channels. Broadcasters bundle the Freeview TV channels into six groups, or multiplexes, with each one being transmitted separately on a slightly different frequency. This is why in areas of poor reception, you can sometimes only receive a random collection of channels – it's common with indoor aerials to not be able to receive all six of the multiplexes perfectly. With Freeview HD, the new HD channels took over one of these six multiplexes, and the channels that were in that multiplex before were distributed across the other five. This is why during the switchover many people have had to retune their standard Freeview TVs and boxes multiple times, with seemingly little effect. It's all about reshuffling the existing channels to make room for the new HD content. Freeview HD set-top boxes and TVs are able to tune into and play back the five standard definition DVB-T multiplexes, and of course, the renewed sixth DVB-T2 multiplex. This means that all current standard Freeview equipment will continue to function perfectly well with the SD channels, while only DVB-T2 tuners will be able to see the HD channels. Why should I care about watching TV in HD? Freeview HD is transmitted at a higher bitrate than standard Freeview channels. This means the picture arrives at a higher resolution and contains more detail, while the audio is often better too. Standard definition pictures were designed primarily for smaller CRT televisions. Modern day HD TVs are much bigger, and are capable of displaying more pixels. So if you've paid for an HD TV but aren't able to receive HD pictures, you're missing out. BBC HD (channel 54). An assortment of BBC content in HD. Sometimes you'll get an HD simulcast with BBC 2, at other times you'll get repeats in HD. More HD channels will appear over time - your box will tell you when to retune! The three HD simulcast channels contain a mix of HD and upscaled content. Not all shows are recorded in HD yet, so those that aren't are upscaled to a higher resolution. You can check to see what resolution you're watching by pressing the 'i' button on your remote control. Can I get Freeview HD? Most areas in the UK can now receive the DVB-T2 signal, but there are some regions that are a little behind. You can find out for sure by entering your postcode on the official Freeview HD coverage checker. To watch Freeview HD signals you'll need a device capable of decoding the DVB-T2 signal. That'll either be a simple Freeview HD tuner (set-top box), a Freeview+ HD PVR box (which will allow you to record shows as well as pause and rewind live TV) or a new TV with a DVB-T2 tuner built-in. You shouldn't need to buy a new aerial, because even a basic indoor aerial is capable of picking up the signal, providing the signal is strong enough. This is partially because Freeview HD is compressed using MPEG-4 instead of the less efficient MPEG-2. If you can already receive a good Freeview signal, you shouldn't experience any reception issues. The first Freeview HD box was the Humax HD-FOX T2. It cost £170 on launch but since then it's had a number of firmware updates to include BBC iPlayer access and PVR-like recording functionality. It's also available for under £80. What other HD broadcasts are available? Freesat: Freeview HD isn't the only source of free HD TV content in the UK. There's also Freesat, which is very similar but comes into your home via a satellite dish instead of a TV aerial. Freesat has no subscription charge, so again the only cost is in buying a box or a compatible TV, and a satellite dish, if you don't have one already. Freesat also has more HD content available, so if you're an HD enthusiast looking to upgrade, Freesat might be a better option. Sky+HD: If you're happy to buy a TV subscription, you could also pay for Sky+HD. Virgin Media: Virgin Media also has plenty of HD channels – but again, there are subscription charges at work here.